Pregnancy can be a terrifying time for even the most confident of mothers-to-be. With so many guidelines to follow (well, some anyway) it is unsurprising that some people get confused. 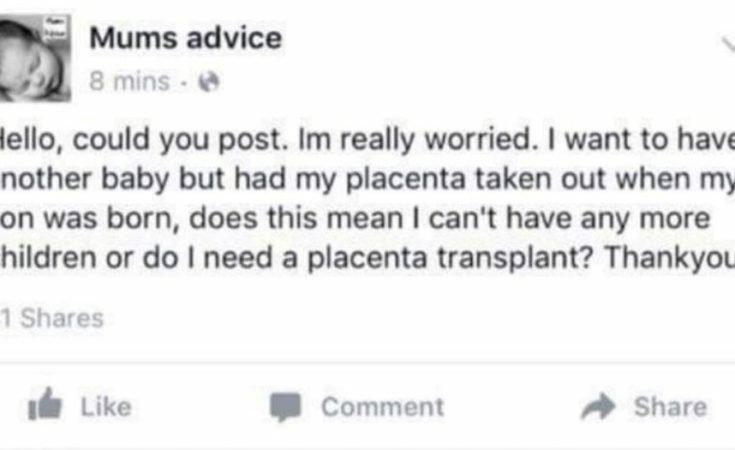 This is where a lot of ladies turn to the online birth board. A magical place where we can chat about grim pregnancy symptoms and ask all the pregnancy related questions we want to, and fairly anonymously if desired, so as not to annoy our real life friends who are probably a bit bored of preggo chat. Obviously it’s not quite as good as asking, say, a medical professional. But it’s a lot easier than simply googling the answer to your question because you’d have to open a new browser and everything for that. “I don’t want to use the shower or bath in case the hot water hurts the baby, what should I do?”. Yes/yes/yes/yes; yes; no, it won’t; no; perhaps consider calling the baby Pip? ; if that floats your boat but I prefer a rom com personally; get a better taste in music you’re about to be a mother for god’s sake; don’t be a pillock; no but get yourself some new trousers; I think you’re an idiot who’s going to have a baby who never, ever sleeps; and for the love of all that is holy, just have a wash. I’m almost certain showers don’t come with settings that will take your skin off and I really feel sorry for the midwife of someone who hasn’t showered for nine months. At least they can blame the hormones I suppose.